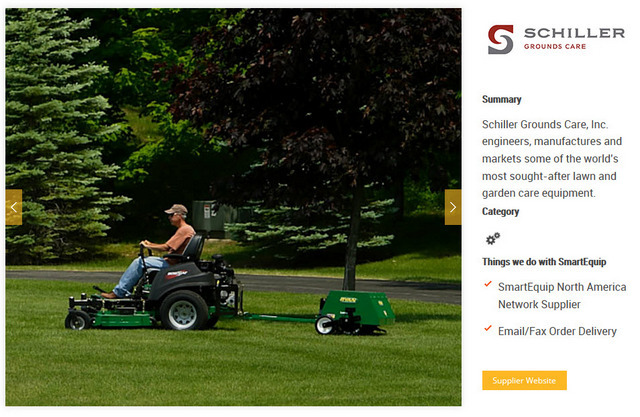 Schiller Grounds Care Inc., the premium manufacturer of BOB-CAT, Classen, Little Wonder, Mantis, Ryan and Steiner brand gardening, landscaping and grounds care equipment, has joined the SmartEquip Network. SmartEquip allows suppliers like Schiller to provide customers with an ordering and content management platform which connects business and customers to Schiller directly. Schiller joins a growing network of over 150 suppliers currently found on the SmartEquip Network business processing system. To learn more about Schiller Grounds Care, visit www.schillergc.com.